FUCHS is one of the largest and most important original equipment manufacturers of lubricants and development partner of the German automotive industry. 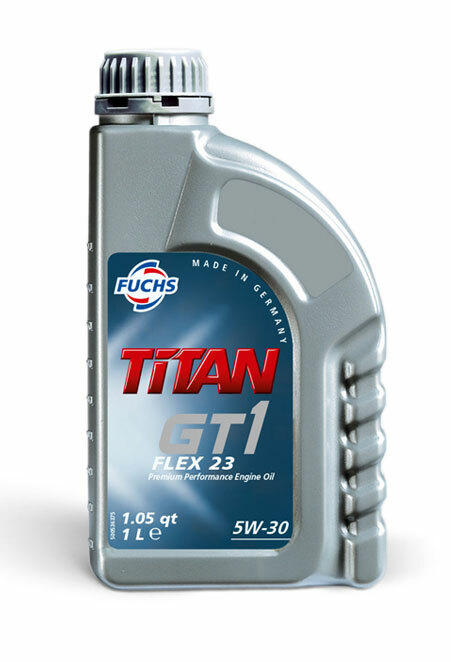 With the new TITAN GT1 engine oils, we offer engine oils with the latest approvals and specification profiles. The successor product of TITAN GT1 PRO FLEX SAE 5W-30 will be the new TITAN GT1 FLEX 23 SAE 5W-30. This Premium Performance engine oil has optimum cold start ability and outstanding performance reserves. It can be used for modern passenger cars and light commercial vehicles with or without extended service intervals. TITAN GT1 FLEX 23 SAE 5W-30 has a wide range of approvals from different OEMs for a wide range of applications. With the performance profile of the new product, TITAN GT1 PRO B-Tec SAE 5W-30 becomes redundant in the portfolio and will fade out. With the introduction of the new 8-speed dual-clutch transmission, Mercedes-Benz has set new standards in terms of driving dynamics and efficiency. The new transmission offers low shifting times, maximum comfort thanks to smooth gearshifts and high efficiency. Thus, the topic of CO2 savings has meanwhile taken on an important position in the transmission sector as well. This is accompanied by a constant increase in efficiency, which is also realized by a suitable lubricant, for example, by a lowered viscosity. At the same time, wear protection and friction characteristics must not be neglected. In addition, the increasing requirements such as higher oxidation stability also play a key role. All these requirements were recorded by Mercedes-Benz in the specification MB 236.22. In cooperation with Mercedes-Benz, we have developed the new PENTOSIN FFL-10 based on our unique XTL® technology. Especially optimized for the requirements of this gearbox, it is currently approved exclusively according to the specification MB 236.22. To meet these highest requirements, a sophisticated and innovative combination of state-of-the-art additive technology and base oil composition is required. This is the point where the unique performance of our XTL® technology can be demonstrated in comparison to conventional technologies. To meet the high demands for CO2 reduction, PENTOSIN FFL-10 is one of the thinnest double-clutch transmission fluids in the world. This allows enormous fuel savings. Despite the lowered viscosity, the XTL® technology offers excellent wear protection. In the most critical components, PENTOSIN FFL-10 achieves impressive results. 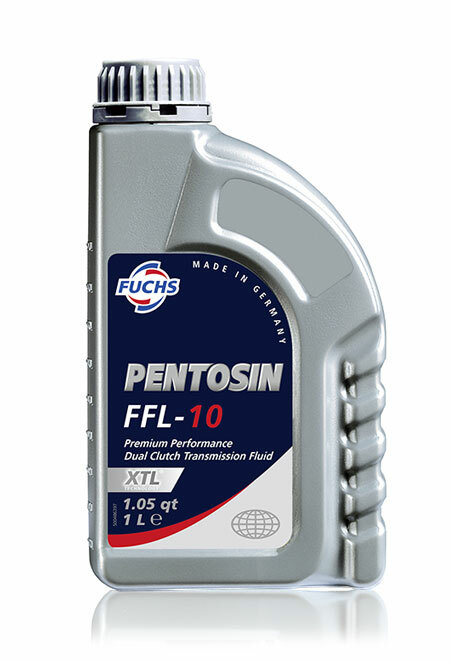 The impressive friction stability of PENTOSIN FFL-10 offers excellent clutch performance and optimum shifting comfort over the entire change interval. FUCHS has qualified all its products to ACEA 2016 and will have updated its product information as of December 2018. Therefore, you can be sure that our engine oils continue to provide excellent protection for your engine and meet the latest requirements. For products that were previously specified according to ACEA A1/B1, we now have this claim as a recommendation, as A1/B1 has been discontinued by ACEA. New materials and the increasing number of modern direct-injection engines with turbocharges has required the inclusion of two new engine tests. The share of alternative fuels such as biodiesel is becoming more and more important. Therefore, the compatibility with biofuels plays an ever-increasing role. These new fuels as well as higher combustion temperatures can lead to more oxidation and thus oil thickening. The suitability of the engine oil is checked with two oxidation tests. For supercharged engines, the cleanliness of the turbocharger is essential. The tendency of the engine oil to form deposits is judged in a corresponding engine test. The industry-wide efforts to reduce fuel consumption and thus CO2 and other emissions also effect the engine oil. Especially for ACEA 2016 the ACEA C5 category was introduced, which addresses this issue. New engines are using modern sealing materials. Engine oils must be compatible with these, which is determined in studies of elastomer compatibility. Die ACEA (Association des Constructeurs Européens d'Automobiles) is an association of the 15 most important car manufacturers in Europe. Among other things, it defines minimum requirements for engine oils in the so-called ACEA sequences. These are adjusted at certain intervals to meet the current demands of the European automotive industry. The last update from 01.12.2016 comes into force on 01.12.2018 for all product claims after a transitional period of two years. The American Petroleum Institute (API) has released an extension of the API SN specification: API SN PLUS. This enhancement has a special focus on a common problem in the gasoline engine sector: Low Speed Pre-Ignition (LSPI). This premature ignition of the gasoline-air mixture in the combustion chamber occurs primarily in small, high-turbocharged gasoline engines at low speed. For the user, this is noticeable by loud "knocking" from the engine compartment and can lead to heavy damage. The additional test procedure Sequence IX in the API SN PLUS is intended to reduce the risk of LSPI. Like all previous API S * specifications, API SN PLUS is fully backward compatible with previous API S * categories. 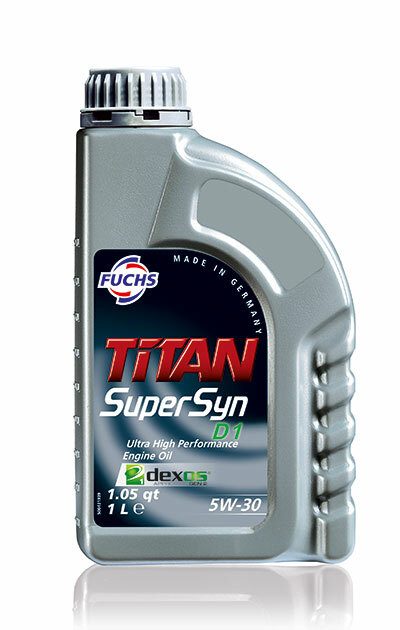 To make the advantages of the TITAN Supersyn D1 technology available for an even wider range of applications, FUCHS has developed another product: TITAN Supersyn D1 SAE 0W-20. This product was added to the portfolio as a follow-up to TITAN SYN SN SAE 0W-20. TITAN SYN SN SAE 0W-20 will no longer be available in the foreseeable future. TITAN Supersyn D1 SAE 0W-20 is based on the technology of the SAE 5W-30 version and opens further possibilities and areas of application due to the added viscosity class. Approved according to dexos1™ Gen 2. The relevance of the dexos1 ™ Gen 2 continues to increase in Europe. This specification is still being used by OPEL despite the acquisition of PSA. Whether there will be a change here and how it will be carried out is not known now. The API SN PLUS RC and ILSAC GF-5 specifications are relevant for different manufacturers, either as a base specification for their own specifications or directly as a specification for the application. This affects both Asian manufacturers such as Nissan, Subaru, Toyota, Lexus and Infiniti, as well as American manufacturers such as Ford and Chrysler. The trend towards low-viscosity engine oils is particularly pronounced among Asian manufacturers, which is why the TITAN Supersyn D1 SAE 0W-20 represents an ideal supplement for these manufacturers. Since March 2018, FUCHS SCHMIERSTOFFE meets the requirements of IATF 16949 at all locations. 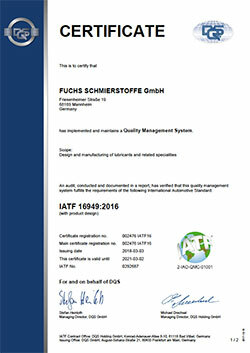 FUCHS SCHMIERSTOFFE has been certified according to DIN EN ISO 9001 since 1994 and complied with the requirements of ISO TS 16949, after FUCHS SCHMIERSTOFFE had previously been certified to VDA 6.1 and QS 9000. The global automotive industry IATF stands for excellent process quality, continuous improvement and innovation. IATF 16949 is the standard for quality management systems of suppliers in this industry. It was developed by a joint working group, the International Automotive Task Force (IATF), with the aim of improving the quality capability and the entire certification process within the supply chain. 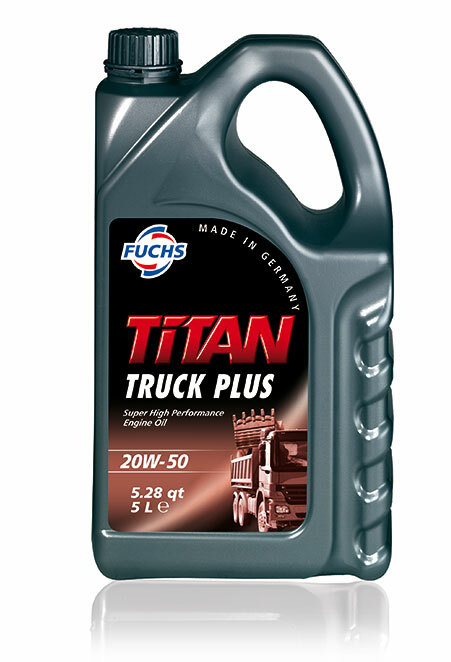 TITAN TRUCK PLUS SAE 20W-50 complies with the ACEA E7 specification for difficult operating conditions and is thus categorized as a Super High Performance Diesel engine oil for commercial vehicle diesel engines. Both the MB 228.3 ap-proval and the MAN M 3275-1 recommendation are based on this specification. For Mercedes Benz, the engine series 300, 400, 500, 900 and OM 457, 460 can be filled with TITAN TRUCK PLUS SAE 20W-50. Heavy duty diesel engines from 1998 and some older engines are covered by the Global DHD-1 specification of TITAN TRUCK PLUS SAE 20W-50, which provides evidence of wear protection, corrosion protection and high temperature stability. The CAT ECF-1 / -2 specification, which is based on the API CI-4 specification, demonstrates the long life of exhaust gas recirculation engines when filled with TITAN TRUCK PLUS SAE 20W-50. TITAN TRUCK PLUS SAE 20W-50 can also be used for older API specifications due to backward compatibility of API specifications. TITAN CARGO LD4 SAE 5W-30 was developed as an extension of our TITAN CARGO series especially for the SCANIA LDF-4 specification. This makes the engine oil suitable for use in Scania D9, D13 and gas engines with an emission class from Euro I to Euro VI. Thanks to this backward compatibility, TITAN CARGO LD4 SAE 5W-30 ensures problem-free year-round operation in almost all engines of Scania and thus offers great rationalization potential (see illustration below). The only exceptions are Scania's V8 engines, which rely on a SCANIA LDF-3 or SCANIA LA specification. However, these are already covered with TITAN CARGO LD3 SAE 10W-40 or TITAN CARGO MAXX SAE 5W-30. The SCANIA LDF-4 specification was introduced to meet the requirements of modern Euro VI engines and the correspond-ing exhaust aftertreatment systems. 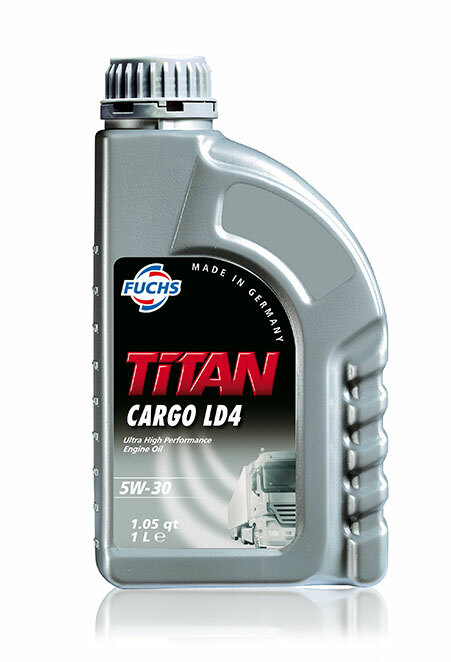 With this specification, TITAN CARGO LD4 SAE 5W-30 achieves longest oil change intervals in long-distance and local traffic. In contrast to oils with SCANIA LDF-3 specification, the service life of particle filters can be doubled and fuel consumption reduced by 0.5%. High wear protection even under continuous stress at full engine load. Protects against mirror surface formation on cylinder races. Fastest possible oil circulation after start; this reduces cold-start and warm-up wear. Extreme Reduction of exhaust gas particulates. Protection against corrosion even when diesel fuel with higher sulfur level is used. * Depending on the type of application and the vehicle, the exact replacement intervals must always be adapted and ad-hered to according to the relevant manufacturing. # The V8 engines are excluded. 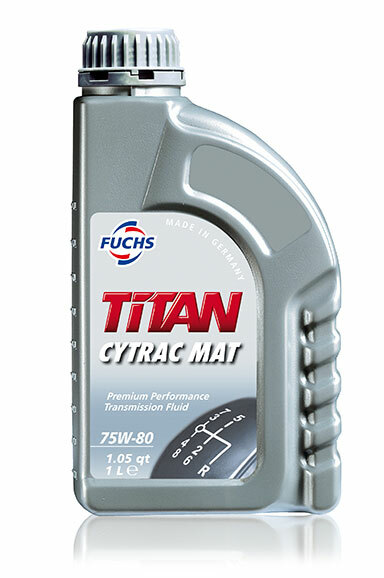 TITAN CYTRAC MAT SAE 75W-80 is the direct successor of TITAN CYTRAC MAN SYNTH SAE 75W-80. Due to the further development of the product, we were able to reach the approval according to VOLVO 97307. This approval is an addition to the previously achieved approvals ZF TE-ML 01L, 02L, 16K and MAN 341 TYPE Z4 for TITAN CYTRAC MAT SAE 75W-80. VOLVO 97307 specifies products for manual transmissions in VOLVO heavy duty applications without extended drain intervals. The required SAE classes are 75W-80 and 75W-85. This specification is also used by MACK and RENAULT. TITAN CYTRAC MAT SAE 75W-80 is a manual transmission oil, especially developed for ZF-transmissions, also in ASTronic2 applications. TITAN CYTRAC MAT SAE 75W-80 has been developed with ZF according to the specification ZF TE-ML 02L and can therefore be used in the specified transmissions and operating conditions with extended drain intervals. For gearboxes applied to MAN trucks the product is approved according to MAN 341 Z-4. In field, TITAN CYTRAC MAT SAE 75W-80 has been successfully proven for the longest oil change intervals and is recommended by FUCHS for drain intervals up to 500.000 km in MAN-applications refer to MAN 341 Z-4. As for many years now, this Christmas FUCHS SCHMIERSTOFFE GMBH donated again to a local charitable institution. This year, the St. Anton Children's and Youth Home in Mannheim / Almenhof was looking forward to a donation of € 10,000 to help children and adolescents. The symbolic check was handed over to Claudia Deisler of St. Anton by the CEO of FUCHS SCHMIERSTOFFE, Stefan Knapp. For dual clutch transmissions, there are a variety of different technical solutions. The use of the wrong product can either very quickly lead to a malfunction or creeping up to a failure of the gearbox due to increased wear. The latest series of ZF dual-clutch transmissions has eight gears for the first time and is installed by Porsche in various models of the latest generation. 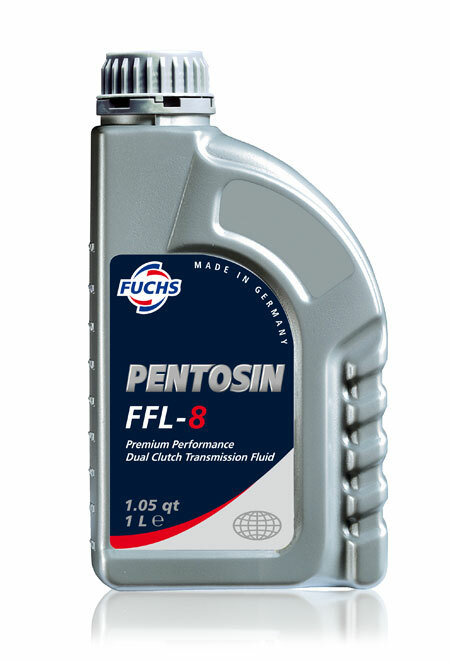 PENTOSIN FFL-8 was specially developed for ZF dual clutch transmissions of the latest generation 8DT80, 8DT80A and 8DT80APH, which are used in various Porsche models. On 18 October 2017, FUCHS received an award at the Resources Efficiency Congress in Baden-Württemberg in the competition "100 companies for resource efficiency" for a remarkable energy and CO2 saving measure at the Mannheim Location. The condensate from a Mannheim production plant obtained from the steam as a waste product is first used as an energy source (since it is still around 90 ° C hot) for heating the test field in Mannheim and then used as a "cold condensate" = distilled water to feed a cooling tower really 100% usage. The savings: app.18 tons of CO2 per year! DMG MORI AKTIENGESELLSCHAFT and FUCHS PETROLUB SE are building on their successful cooperative efforts. The two companies are deepening their business relationship and have signed a collaboration contract. This agreement ensures close involvement by both companies in a technology partnership. Together, they intend to set standards with innovative product developments in the area of lubricants for machine tools. The goal of the technology partnership is to jointly develop new lubricant solutions and services for machine tool applications. The plan also includes further progress in digitization of production processes and condition monitoring of machines and plants. “Use of the correct lubricant is decisive for optimal productivity when machine tools are used for intensive processing of components. In FUCHS, we are pleased to have acquired a globally-based technology partner, and together we want to continue expanding our technology- and service-excellence”, says Christian Thönes, Chairman of the Executive Board of DMG MORI AKTIENGESELLSCHAFT. “DMG MORI has a high level of technological expertise, great innovative force and global presence. I am certain that customers and users, as well as the two companies, will benefit from this partnership”, says Stefan Fuchs, CEO of FUCHS PETROLUB SE. The TITAN Supersyn D1 SAE 5W-30 is designed for use in high turbocharged gasoline engines with a low engine displacement. 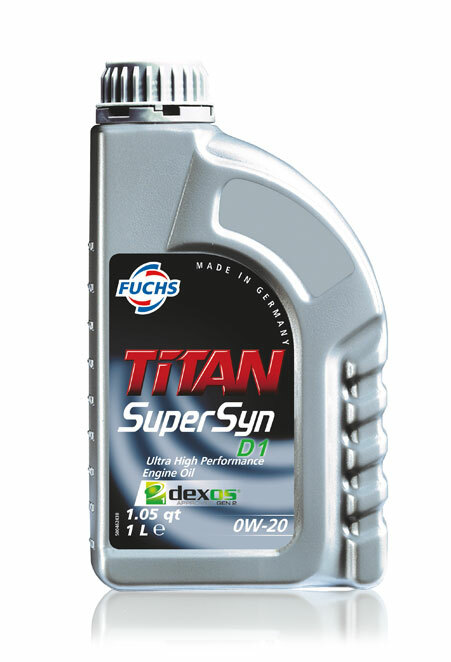 TITAN Supersyn D1 SAE 5W-30 is an ultra high performance engine oil for passenger cars with gasoline engines. The inno-vative technology of TITAN Supersyn D1 SAE 5W-30 reliably provides highest performance and efficiency. In addition, TITAN Supersyn D1 SAE 5W-30 is designed to keep the turbocharger clean. The development was focused on the new generation of the GM specification for gasoline engines. We are pleased to brief you, that our TITAN D1 Supersyn 5W-30 SAE is officially approved dexos1™ -Gen 2. This new generation of the GM speci-fication for gasoline engines is now obligatory for the service in various aggregates of Opel and will therefore increase in relevance. Dexos1™ -Gen 2 approved products may also be used in older gasoline engines, even when dexos2™ is re-quired in the manual. In addition this product complies with the specifications API-SN-RC and ILSAC GF-5. These specifications are relevant to different manufacturers either as a base specification for their own specifications or directly as a prompt for the application. This applies to both Asian manufacturers such as Nissan, Subaru and Toyota, as well as American manufacturers such as Ford, Chrysler, Lexus and Infiniti. The scope of the product application is enhanced by the fact that the specifications API-SN-RC and ILSAC GF-5 feature backwards compatibility to the previous specifications. The TITAN Supersyn D1 SAE 5W-30 will initially be available in 1L, 20L and 60L packages.